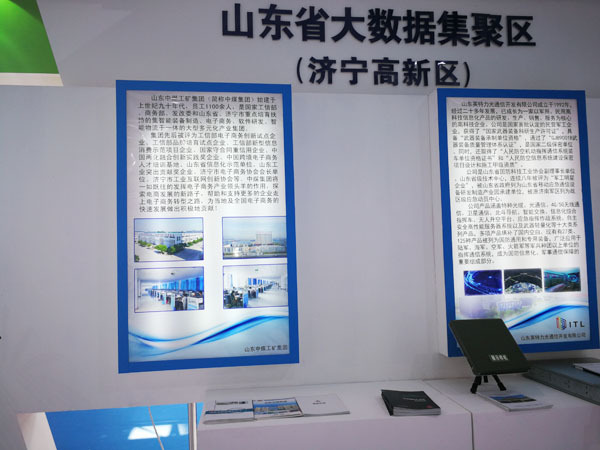 On September 27th, the 11th China (Jinan) International Information Technology Exposition was grandly opened in Jinan. The theme of this year's Information Technology Exposition is "The Digital Economy Leads the Conversion of New and Old Dynamics". The Information Technology Exposition is a collection of six exhibition areas, 20 forums, the first Confucian Merchants Conference and several series of events. It is a high-profile, authoritative and pragmatic industry event. The Exposition has been highly valued and paid attention by leaders at all levels, people from all walks of life, and industry experts. Chairman of the Board of Supervisors of Shandong Provincial Management Enterprise Yang Shaojun, Deputy Director of the Provincial Economic and Information Committee Gao Fang, Vice Mayor of Jinan City Sun Bin and several academicians attended the opening ceremony and visited the site. As a cross-border e-commerce integrated innovation demonstration enterprise of the Ministry of Industry and Information Technology, prominent industrial contribution enterprise in Shandong Province, key enterprise of the integration of the two provinces in Shandong Province, and demonstration enterprise of e-commerce in Shandong Province, China Transport represented Jining City to participate the exhibition. 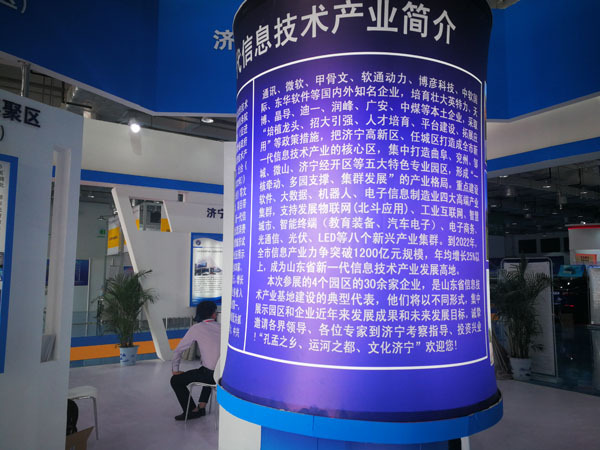 The Exposition has set up a theme park of “Shandong Province Information Technology Industry Base” with an area of more than 200 square meters. 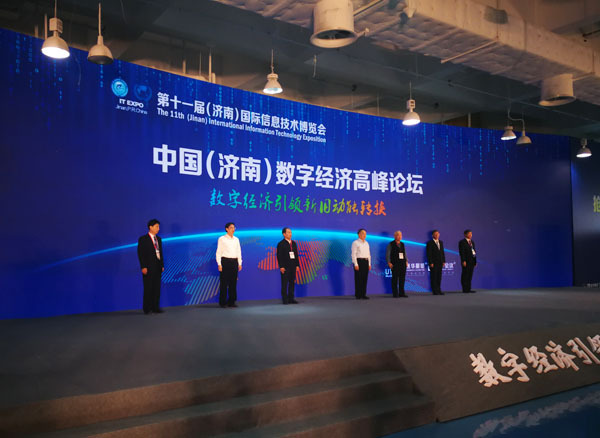 Jining High-tech Zone, Rencheng Zone, Qufu City and Zoucheng City participated in the exhibition of big data, software, electronic information and robots respectively. There are more than 40 exhibition companies, which is the largest exhibition area in the fair and the most comprehensive exhibition area. 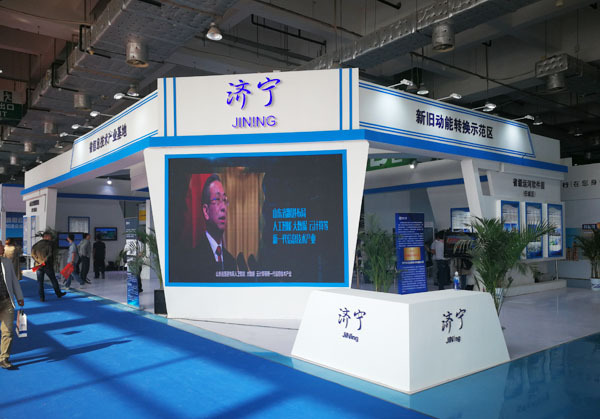 As a key enterprise in the development of big data in Jining High-tech Zone, China Transport has carried out an image display and has been highly praised by the leaders of the conference and experts in the industry. In recent years, China Transport has actively responded to the national big data development plan and actively carried out the construction of enterprise big data and cloud platforms. Relying on the Group's many years of technology precipitation and customer accumulation in the coal machinery industry, we have independently developed and operated the billion mine cloud platform. The platform leverages cloud computing capabilities to enhance business expansion in the big data arena. It not only accurately locates global customer distribution and market needs, but also provides full service to the group, government, society and global industries, is a benchmark and model for industrial enterprises in Shandong Province and even the whole country to use big data and cloud computing to promote the development of new and old kinetic energy. At the same time, our group signed a contract with Huawei Technologies Co., Ltd., and in the next step, the two sides will carry out strategic cooperation in many development fields such as big data, cloud computing and Internet of Things, Strive to make more contributions to the rapid development of the province's information industry! The Exposition also held more than 20 forum events in the same period, and specially invited academicians such as Shen Changxiang, Cui Junzhi, Wang Fuming, Wang Maohua, Ni Guangnan to attend and deliver keynote speeches. 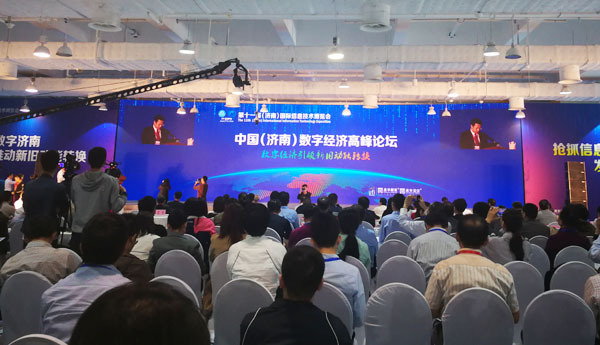 At the same time, thousands of guests from various fields of politics, production, learning and research gathered in Quancheng to share and discuss the frontier hot spots such as digital economy, artificial intelligence, network security, intelligent manufacturing and smart city. It is reported that this session of the Exposition will last for three days, and the exhibition will be from September 27th to 29th. 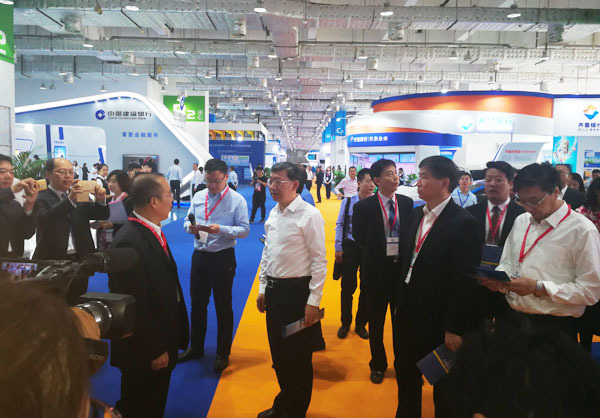 Warmly welcome leaders at all levels and friends from all walks of life to visit the "Shandong Province Information Technology Industry Base" Theme Pavilion - China Transport booth. We are willing to cooperate with you for a win-win situation and seek common development!